Robert Korstad is the Kevin D. Gorter Professor of Public Policy and History at Duke University. He received his BA and PhD from the University of North Carolina at Chapel Hill. 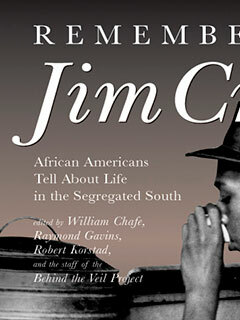 His research interests include twentieth-century U.S. history, labor history, African American history, and contemporary social policy, and he is the co-director of a major documentary research project at Duke’s Center for Documentary Studies, “Behind the Veil: Documenting African American Life in the Jim Crow South.” Korstad is a co-editor, with William H. Chafe and Raymond Gavins, of Remembering Jim Crow: African Americans Tell About Life in the Segregated South (The New Press).